Solid pastel pink. 3 1/2 inches wide. Order this bow in any color. Pick your favorite color to make your outfit right. Amelia's Bows offer you the convenience of getting hair bows and embroidery in one stop. Hair apparel and embroidery clothing needs for all occasions and ages. 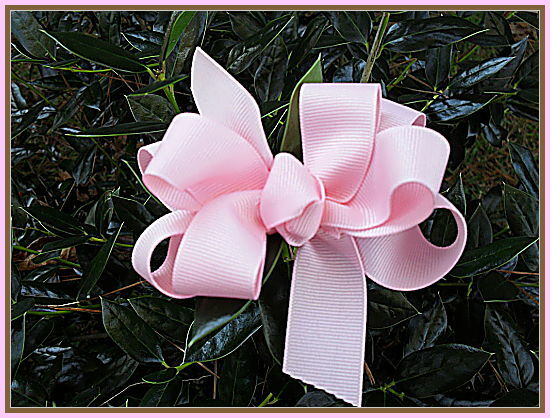 This hair bow is an alluring soft pastel pink solid grosgrain.